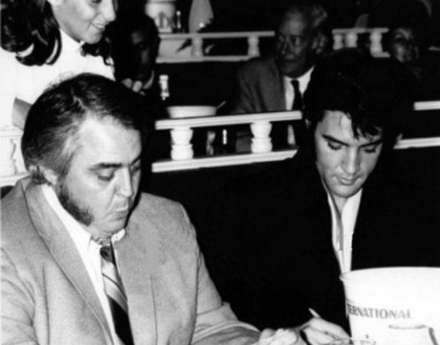 Lamar Fike – Memphis Mafia Member Lamar Fike was larger-than-life figure member of the Elvis entourage. 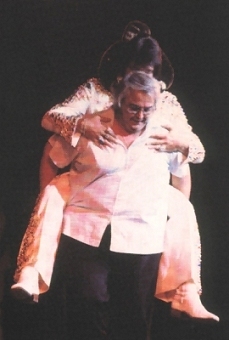 He worked lighting while Elvis appeared in Vegas and took care of the Kings transport needs. Elvis nickname for Fike was Buddha and first met Elvis by just hanging out in front of Elvis Audubon Drive home until finally invited by Elvis mother Gladys. Lamar passed away very peacefully, Friday, January 21. Lamar Fike in hospital: Lamar Fike, member of the Memphis Mafia was hospitalised last year in October for lymphoma. Unfortunately he did not improve and was sent back to the hospital about a month ago. 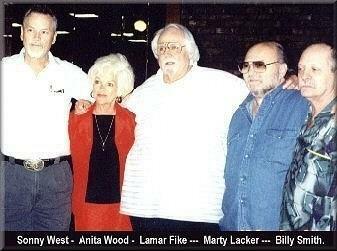 Outside of Red West, Lamar Fike was with Elvis the longest and he remained close to him until Elvis’ passing. Lamar was also very close to Elvis’ mother. Lamar Fike wishes to be cremated will be carried out and the Brown, Owen, Brumley Funeral Home, Ft.Worth are handling his funeral.